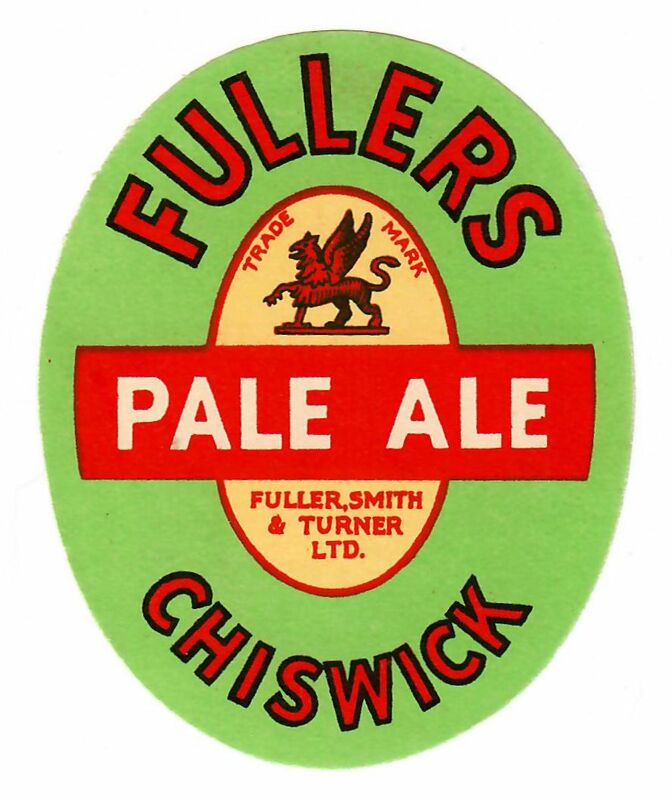 There has been a brewery on this site since the 17th century. 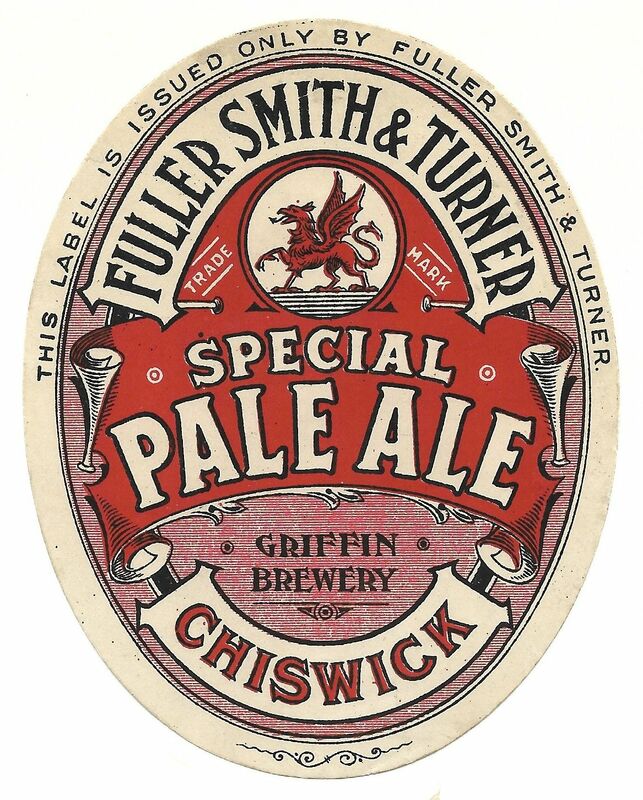 The Griffin brewery seems to date from 1816. 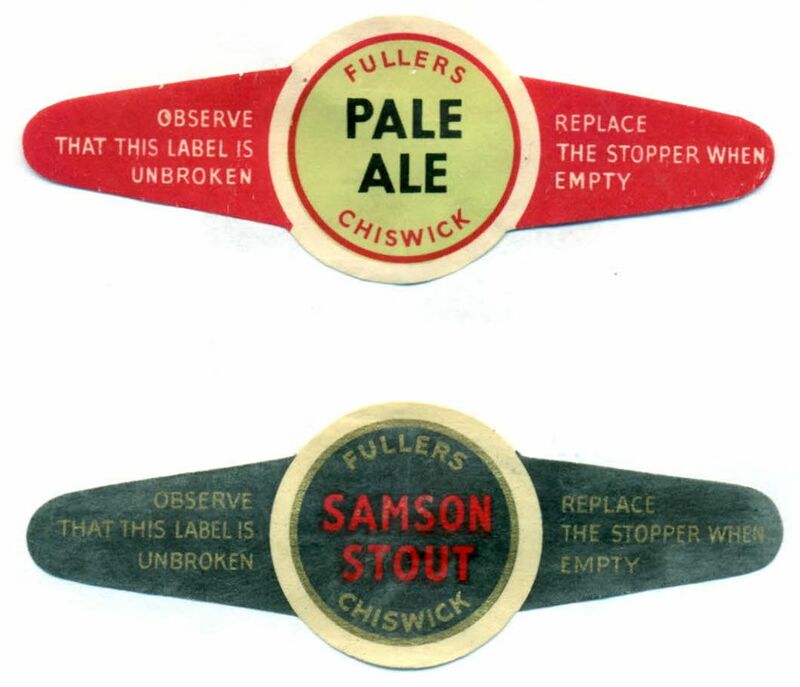 The business belonged to the Mawson family from the earliest times. 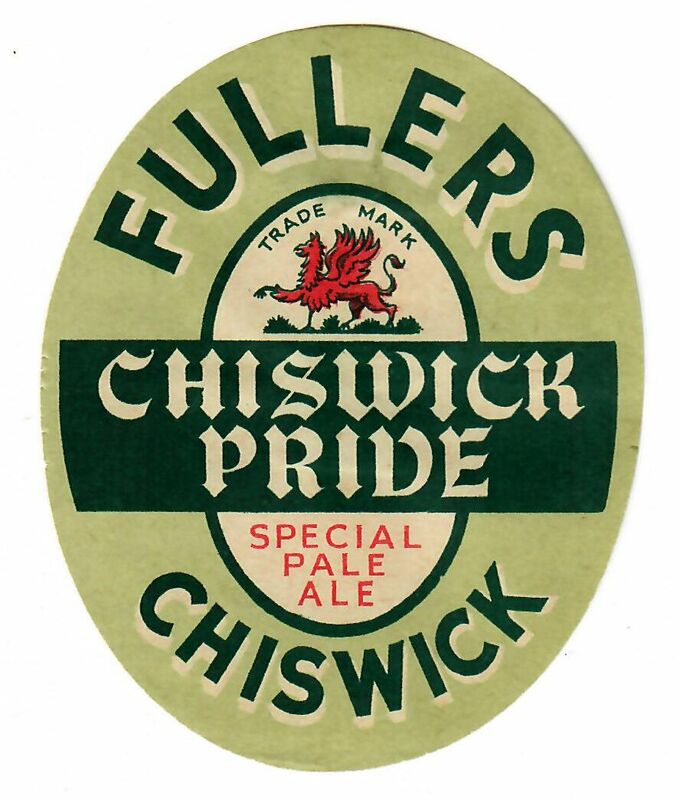 The name is still remembered in The Mawson’s Arms, just outside the brewery. 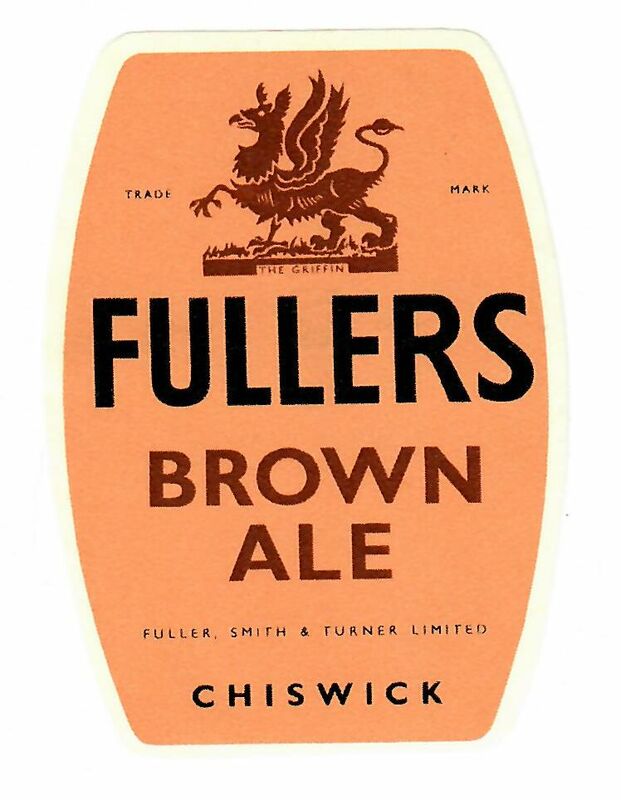 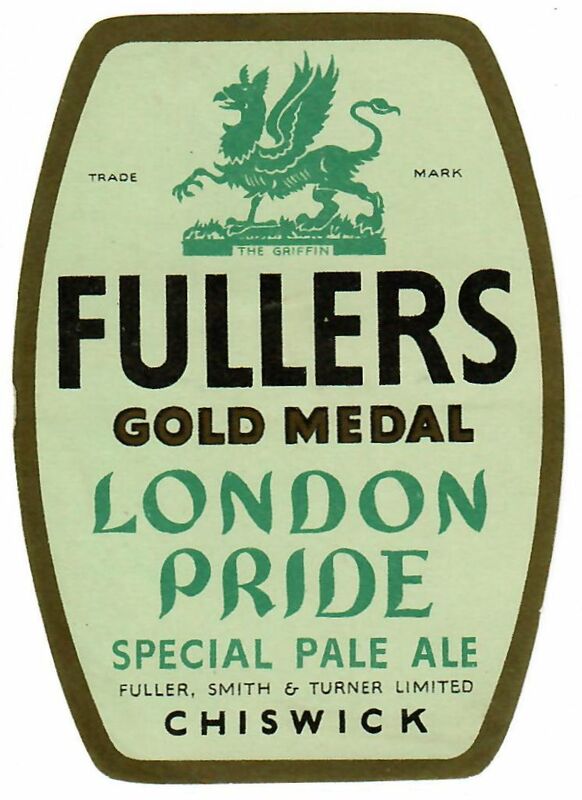 John Fuller became a partner in 1829 and his son, John Bird Fuller was the sole partner in 1845. 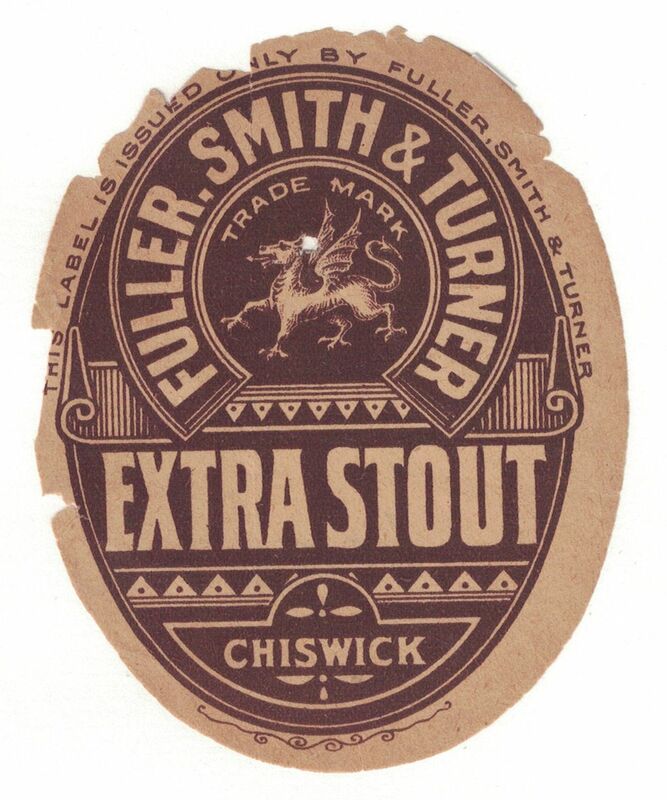 Henry Smith & John Turner joined the company in 1846. 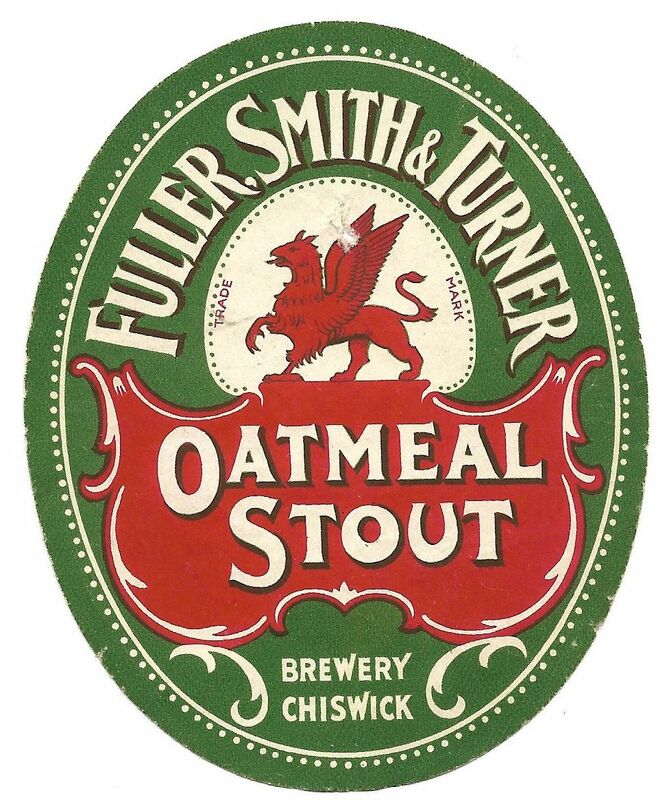 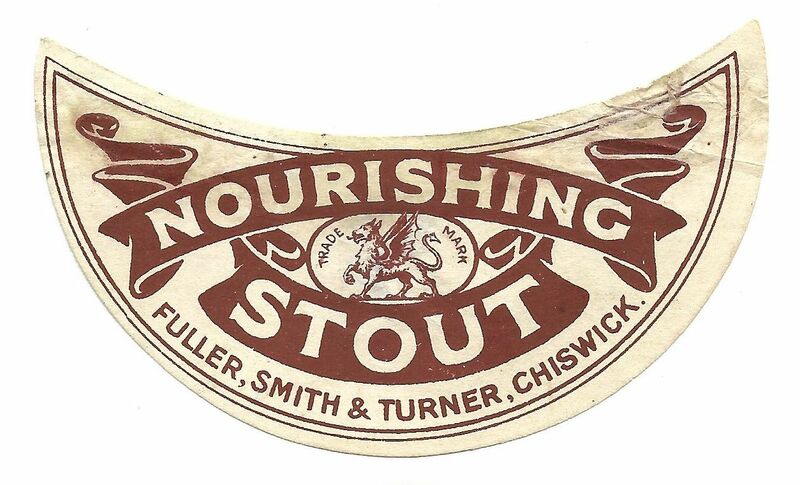 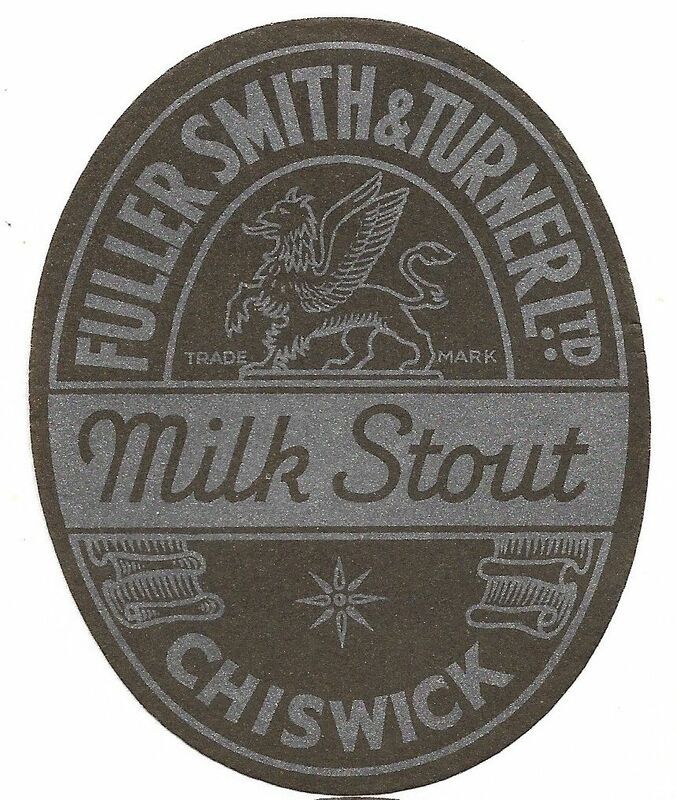 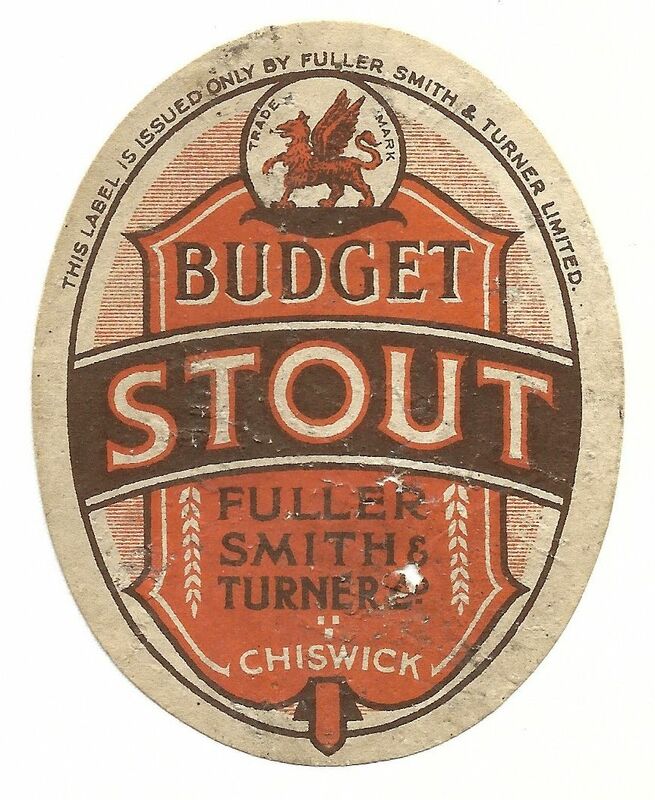 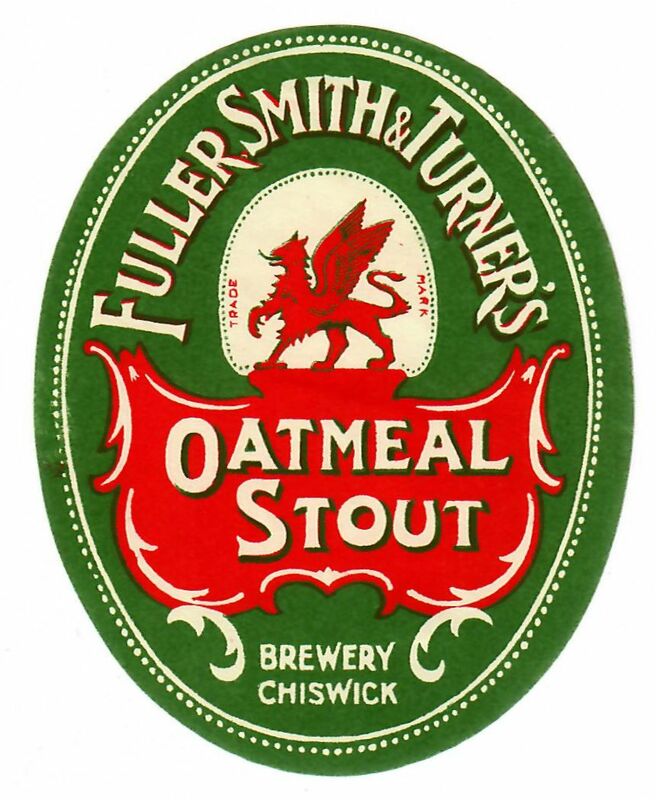 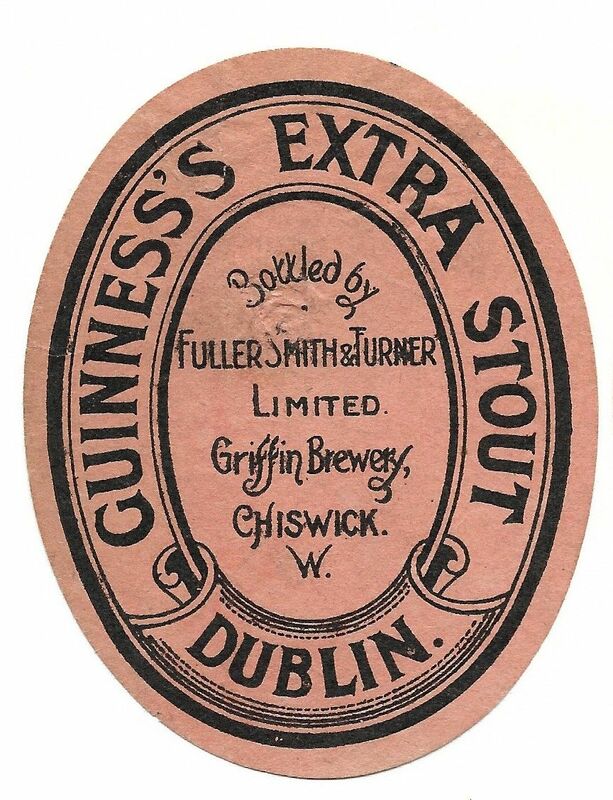 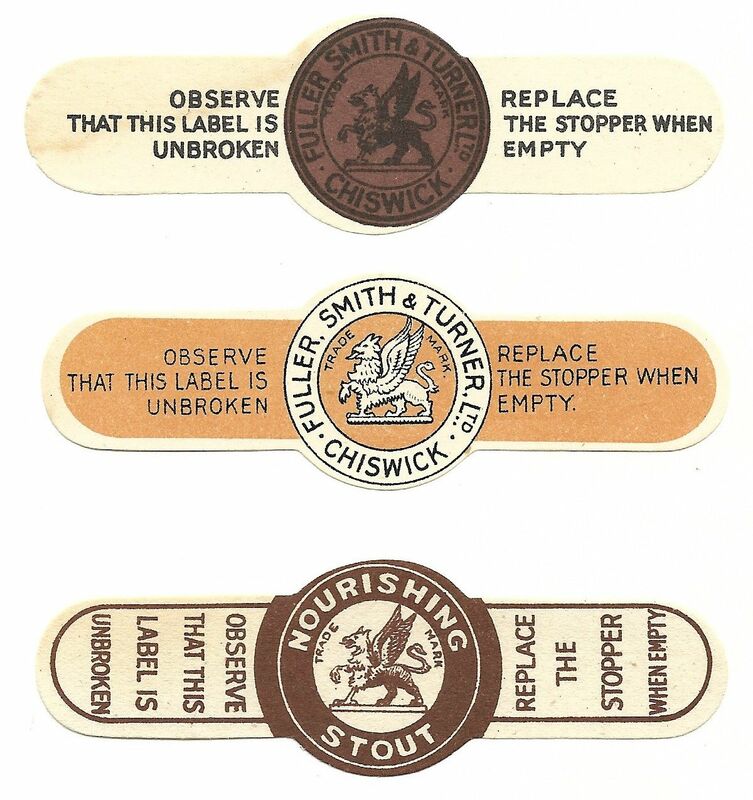 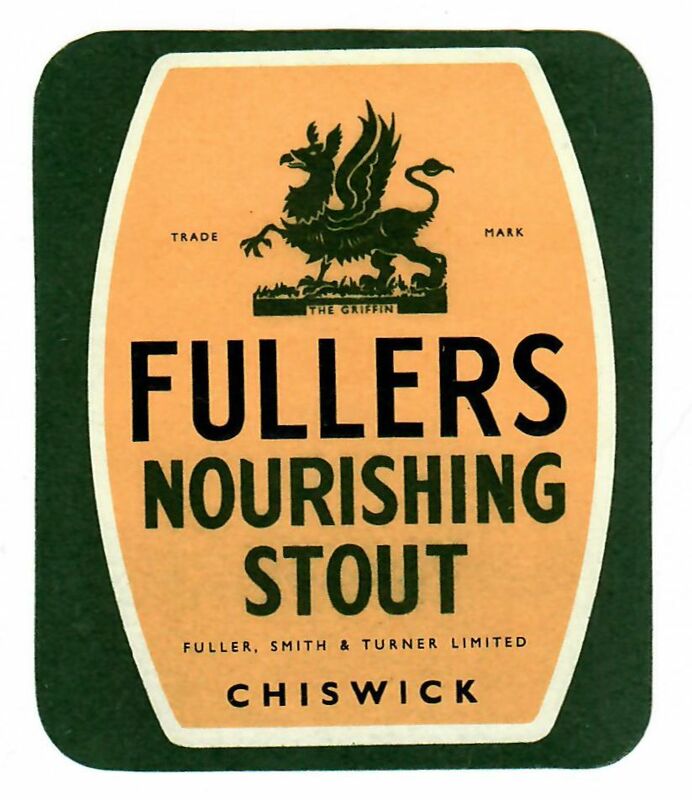 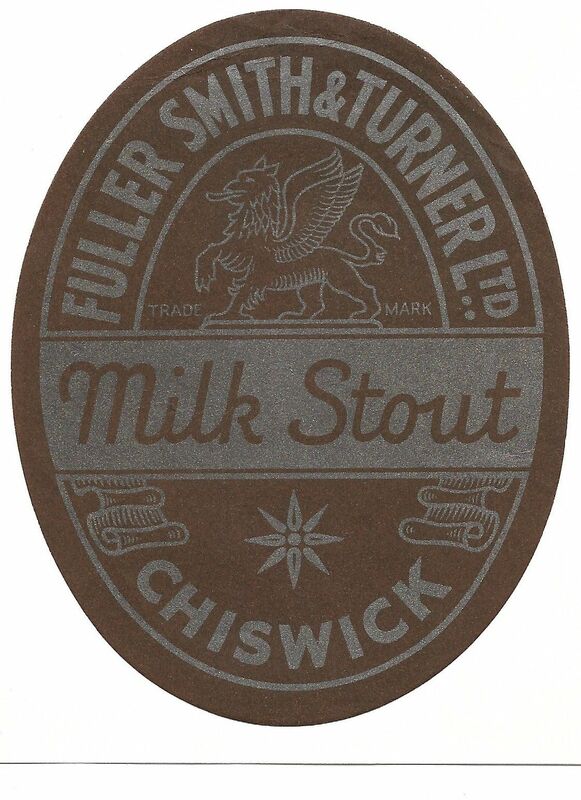 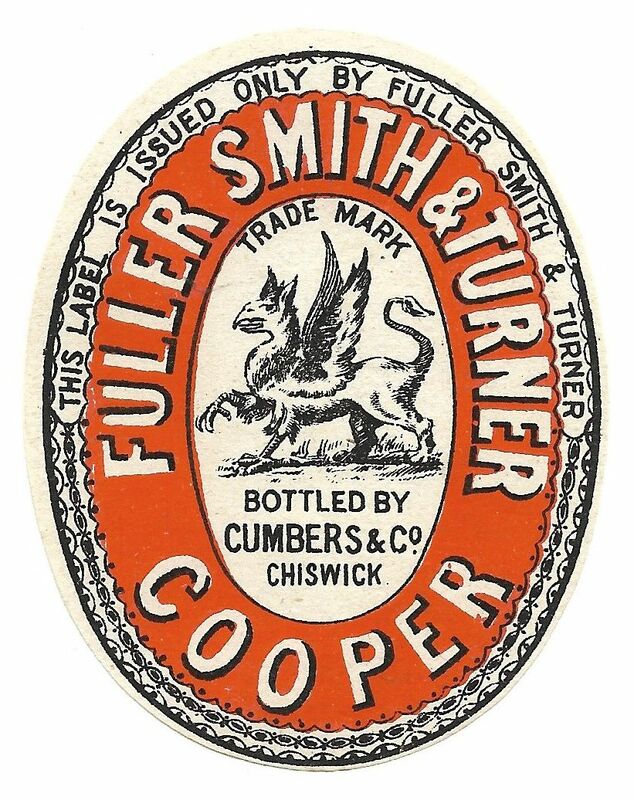 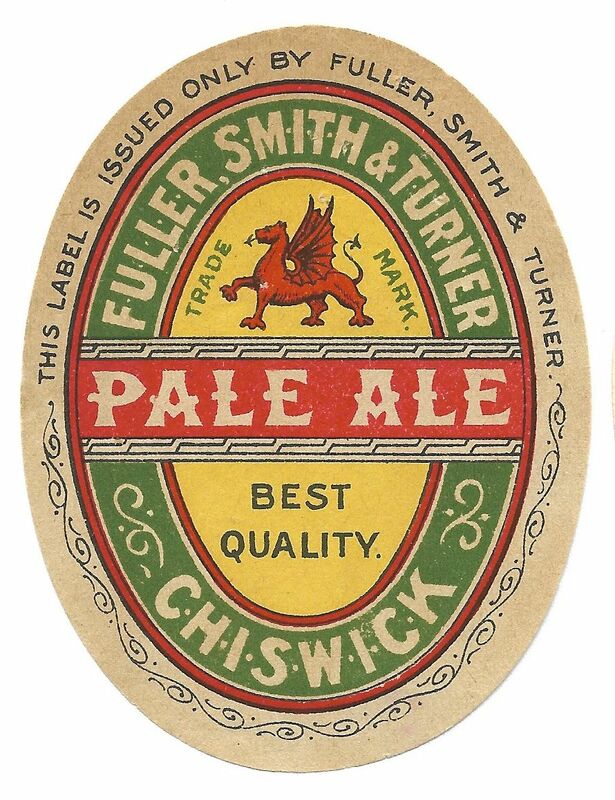 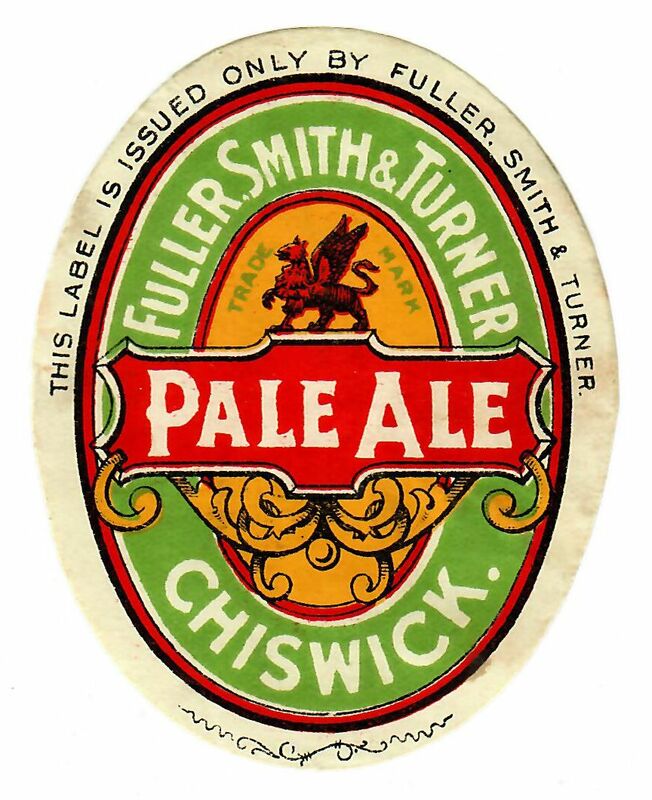 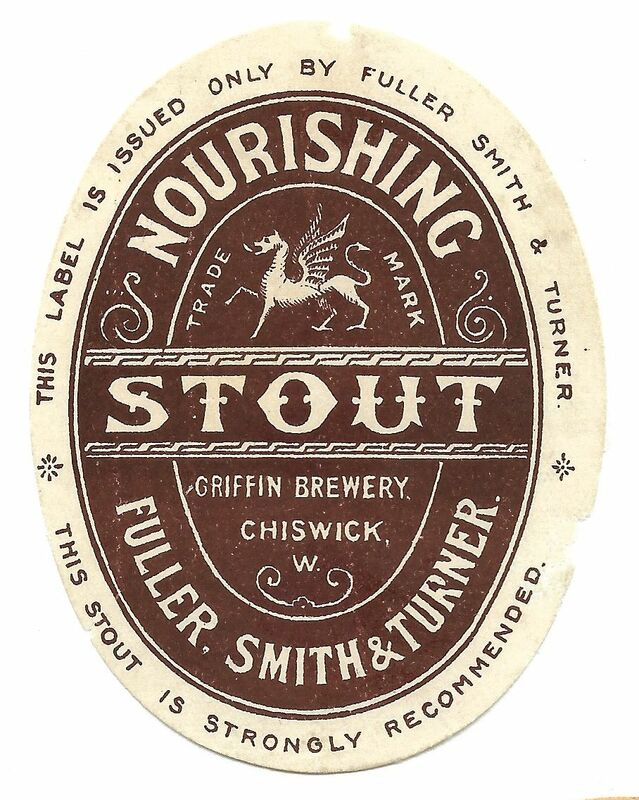 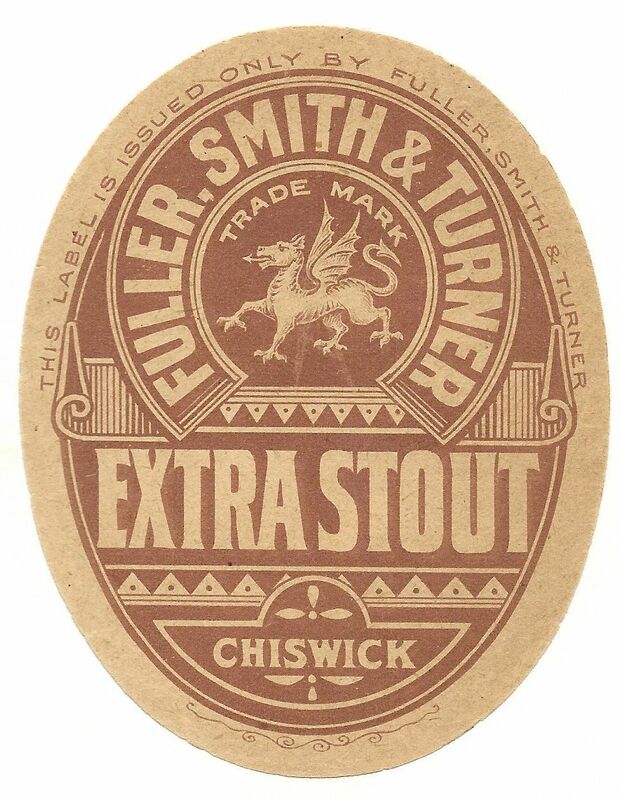 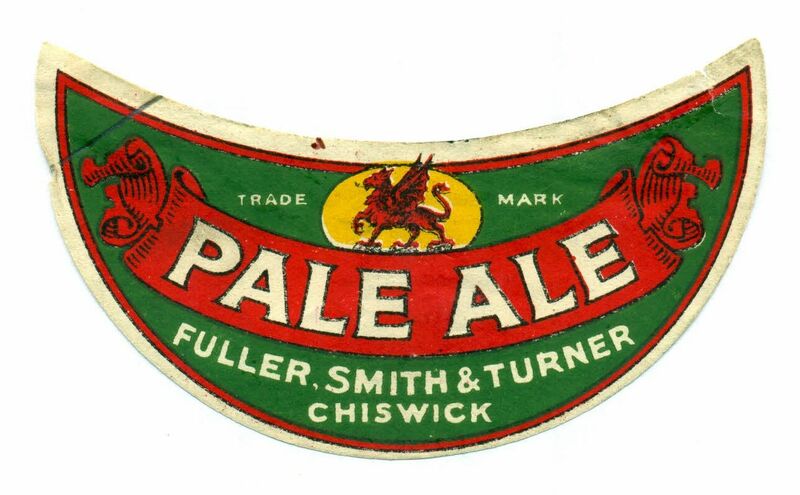 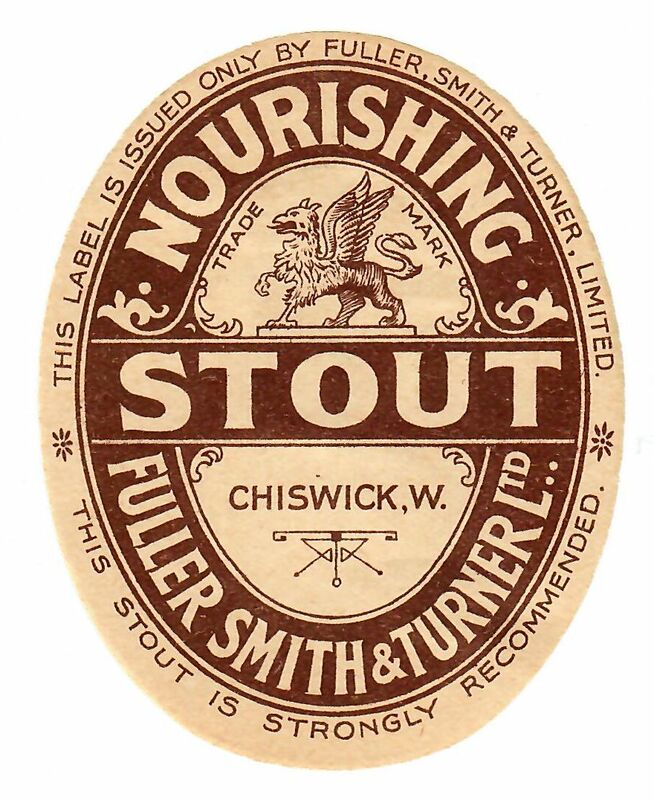 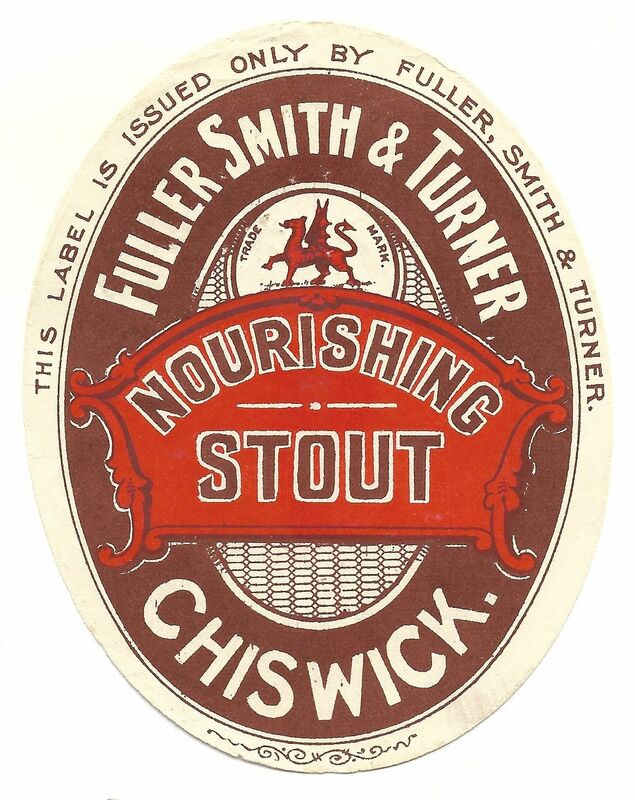 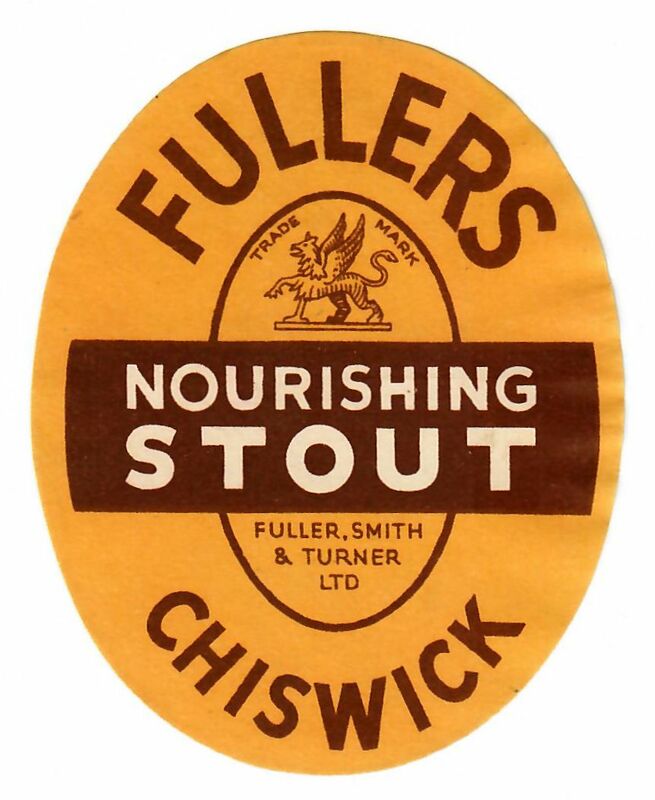 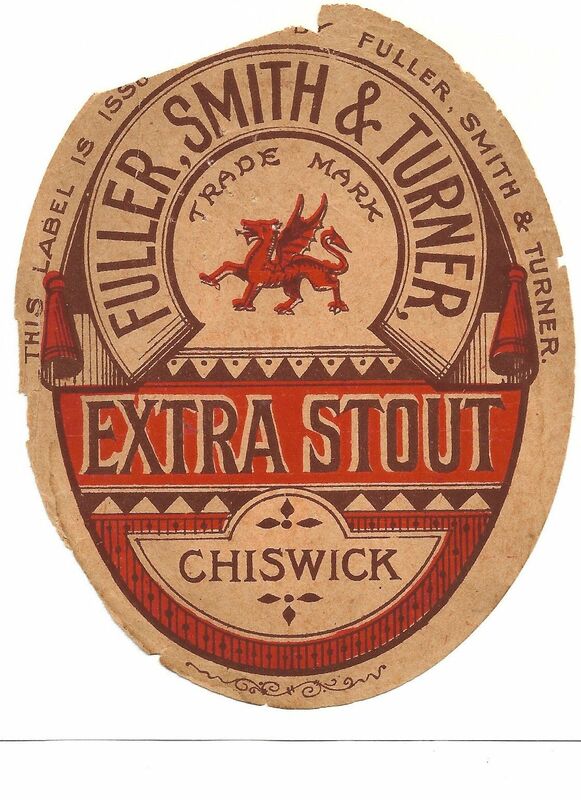 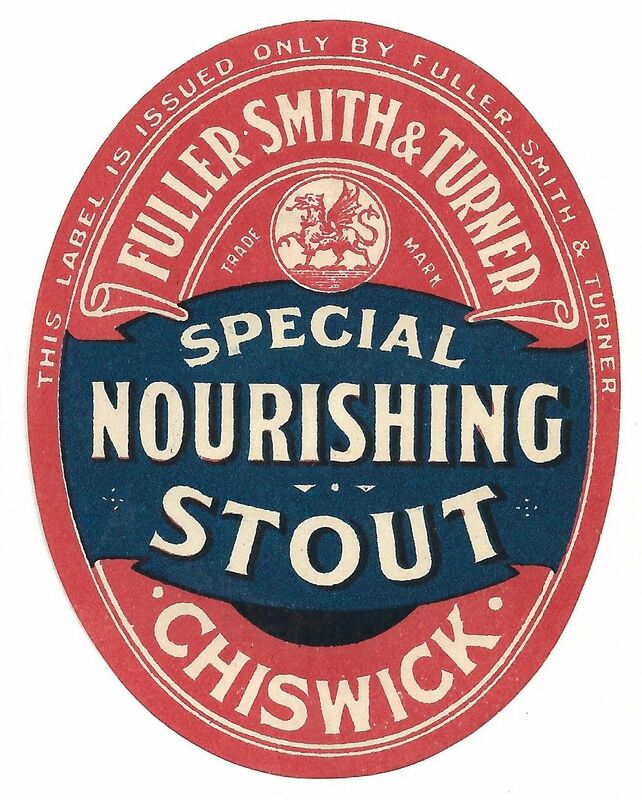 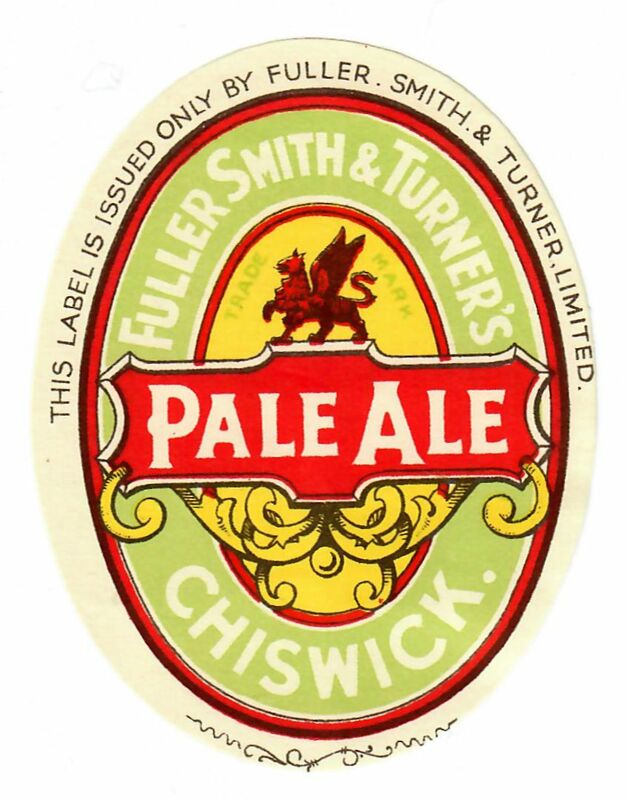 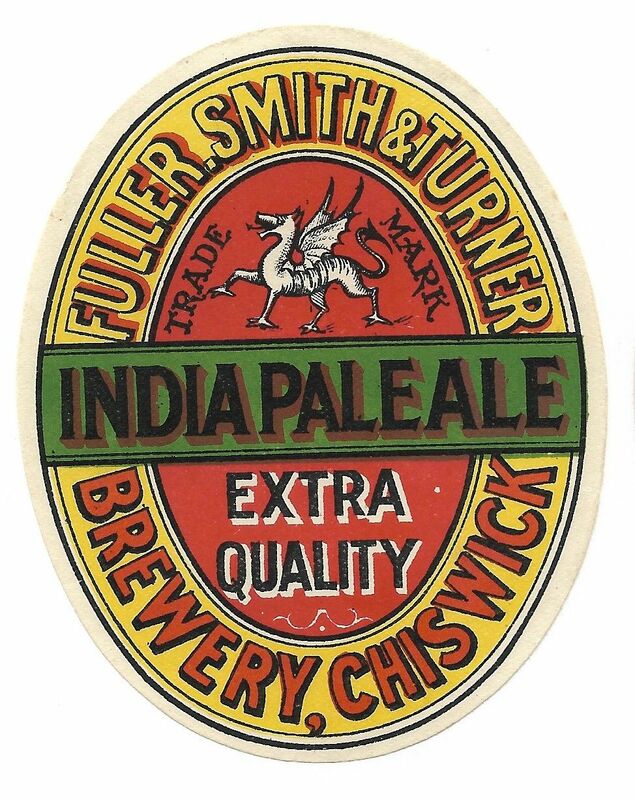 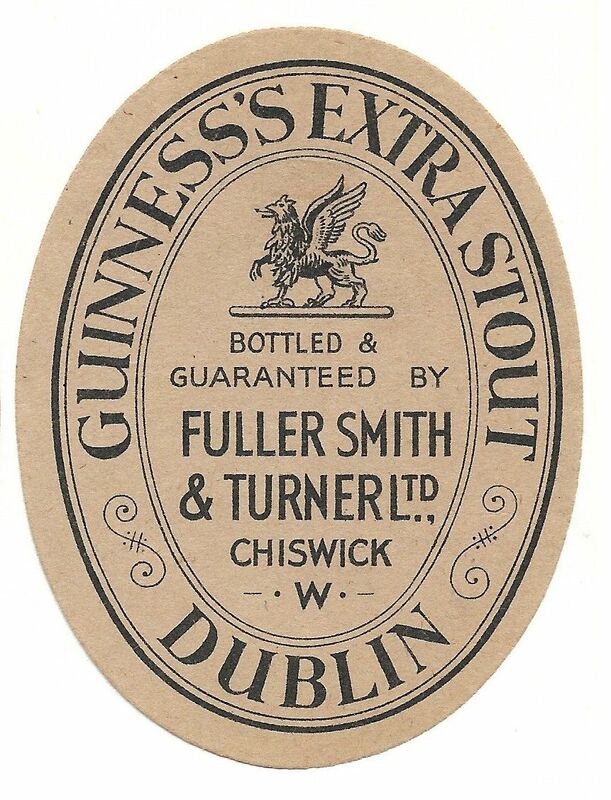 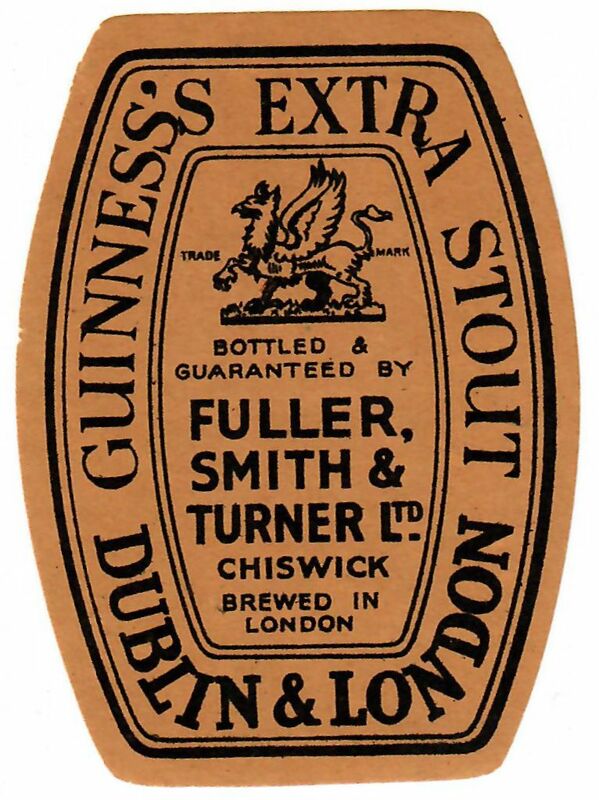 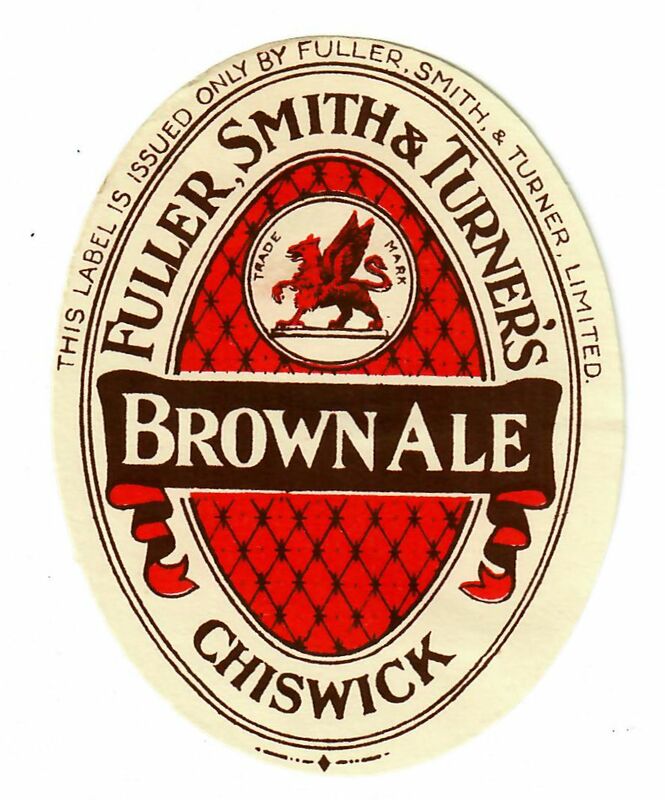 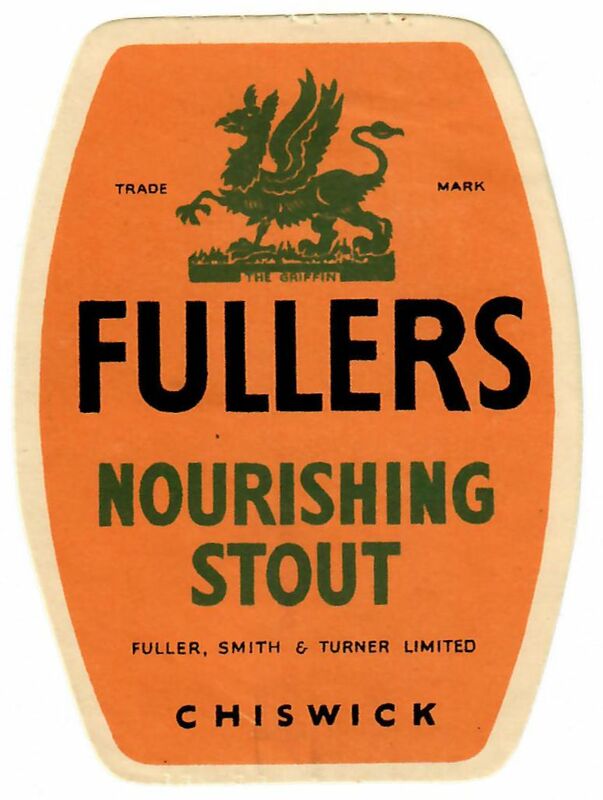 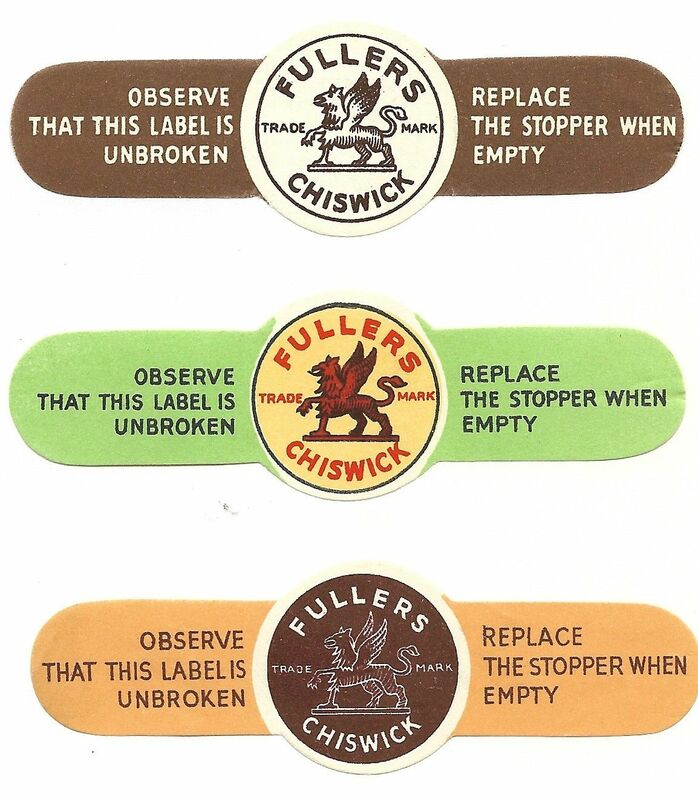 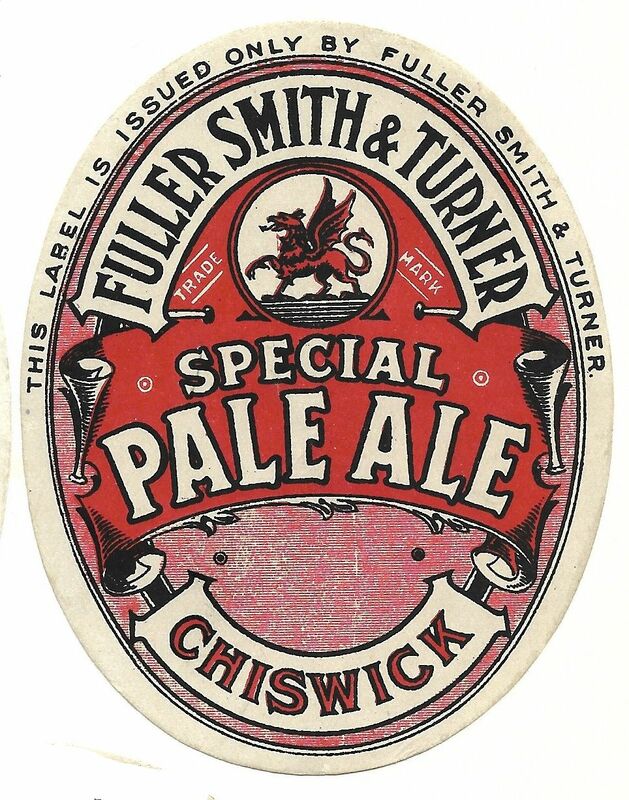 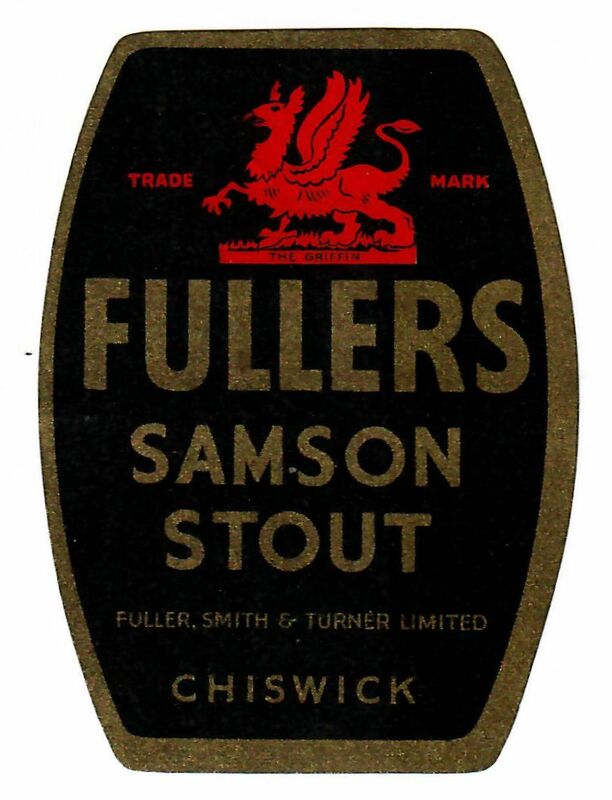 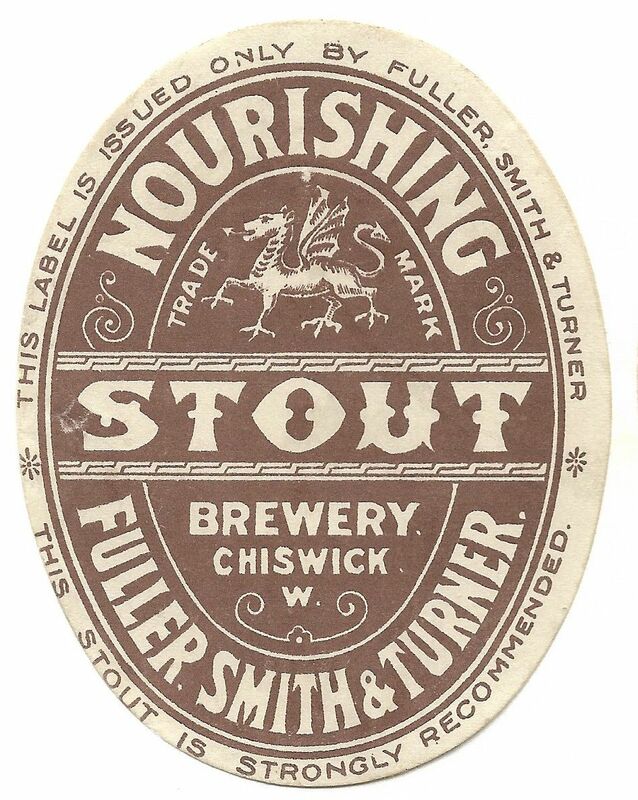 Fuller, Smith & Turner has been the name of the company since then. 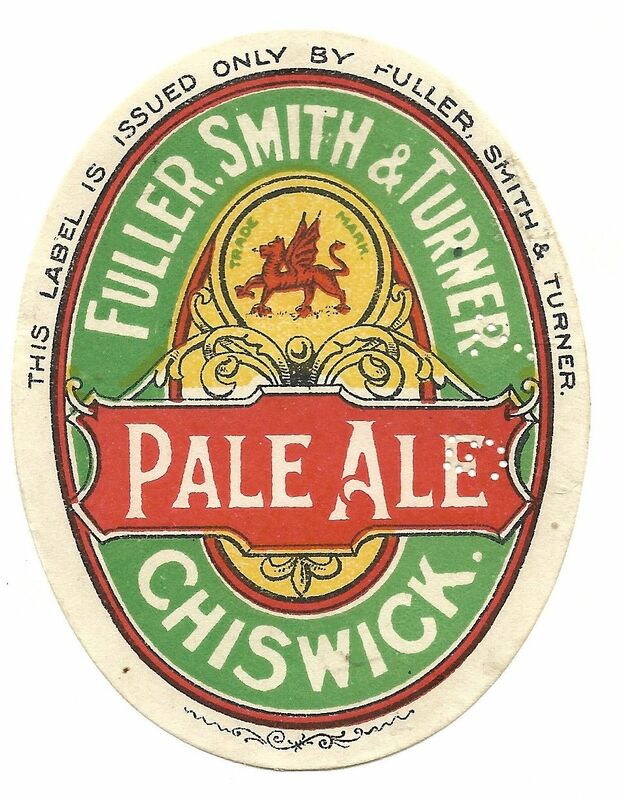 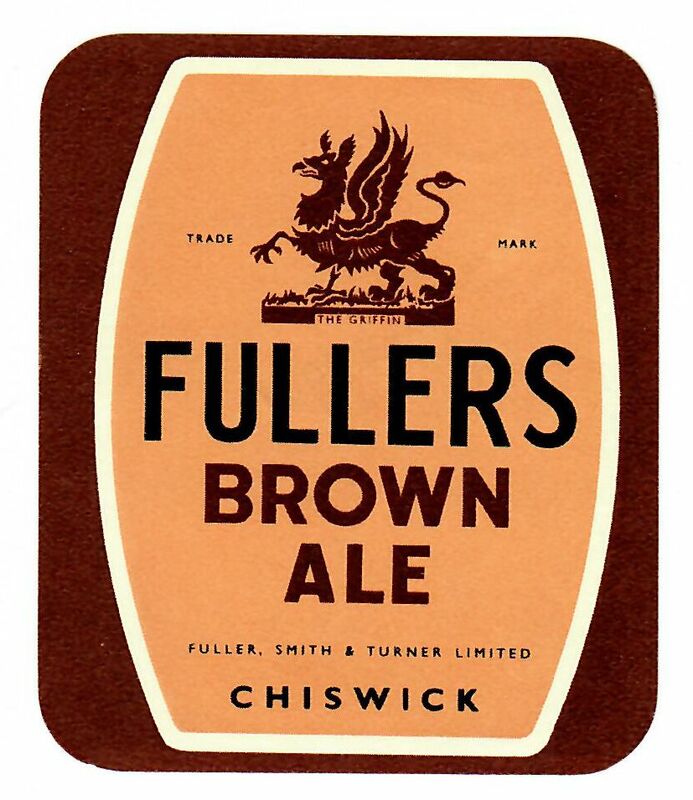 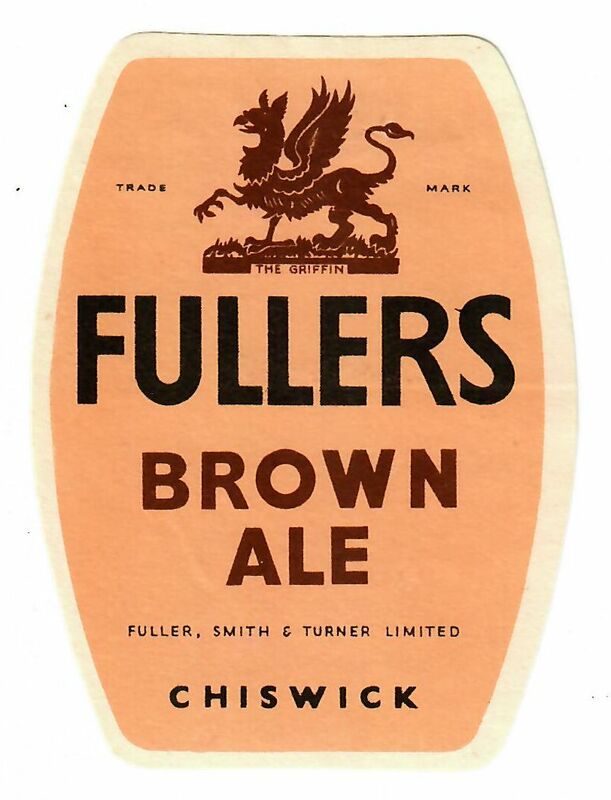 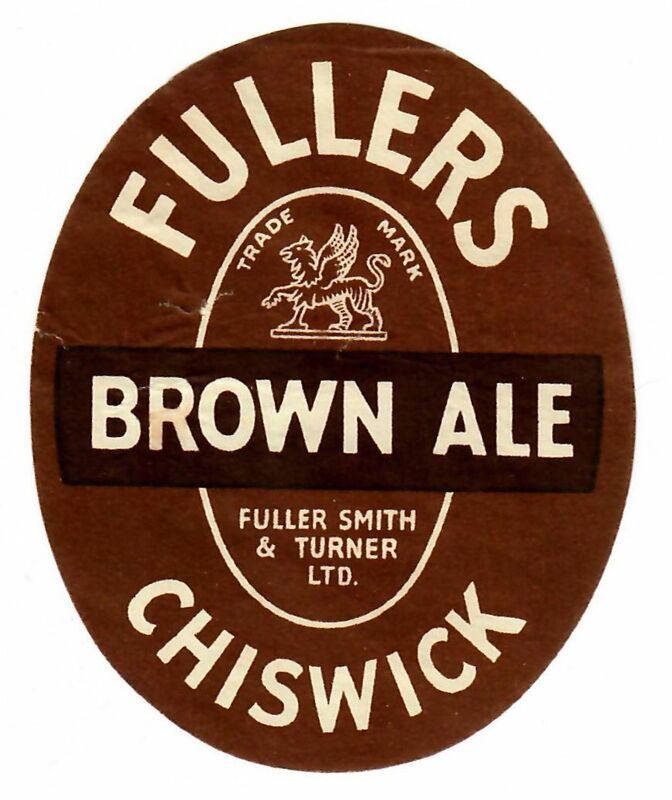 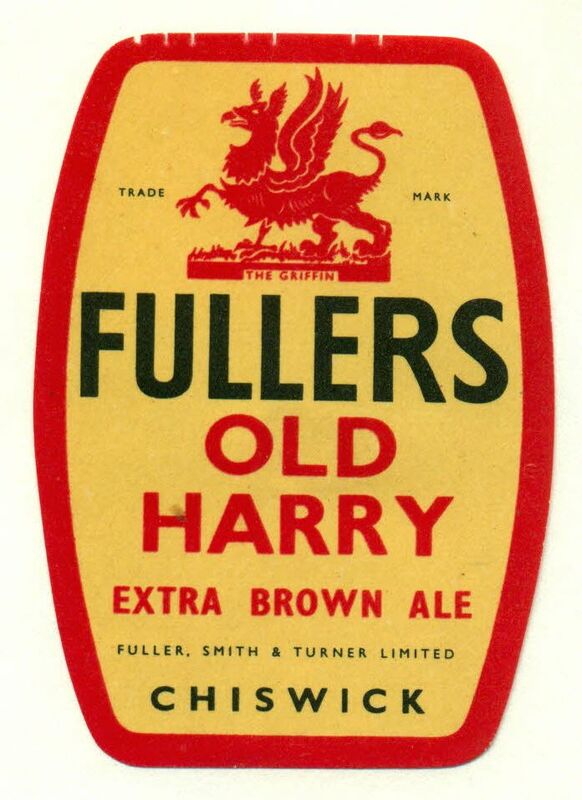 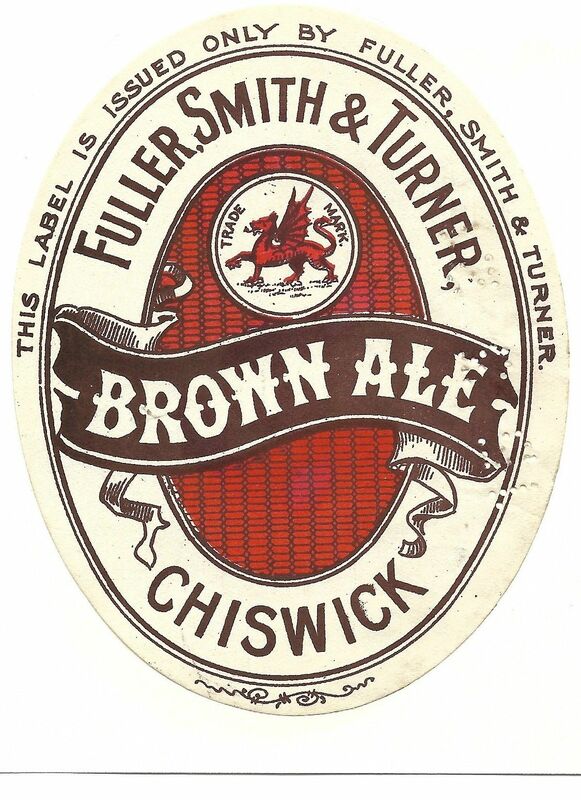 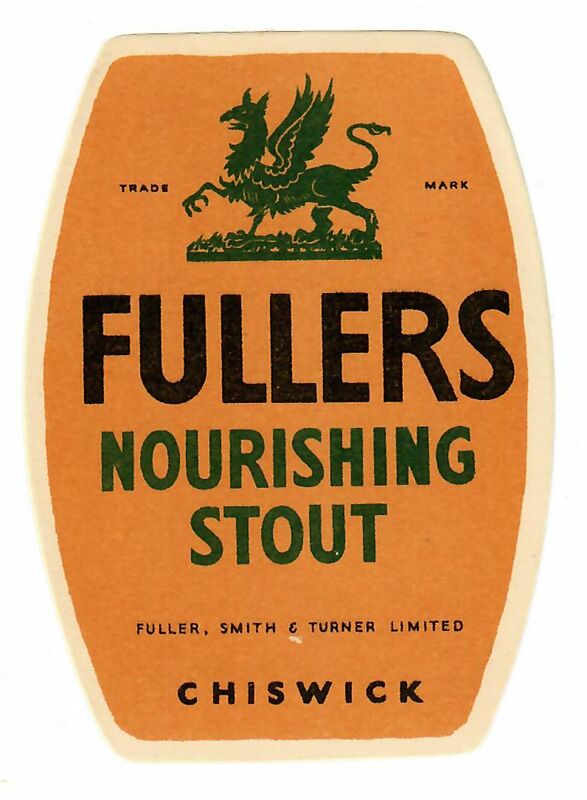 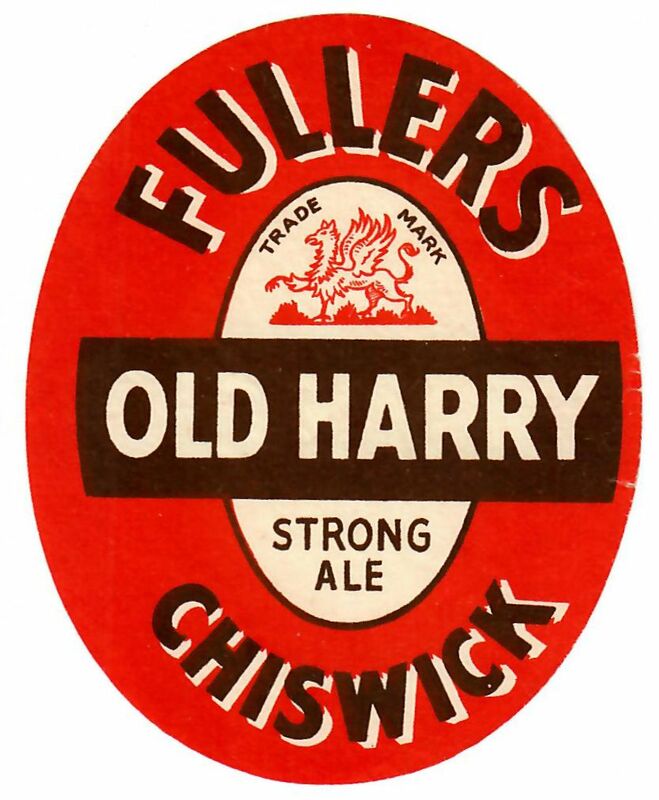 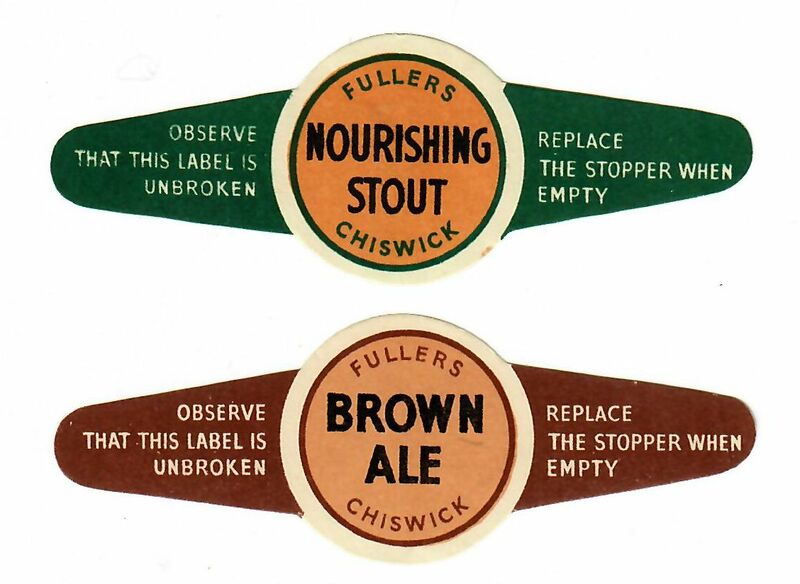 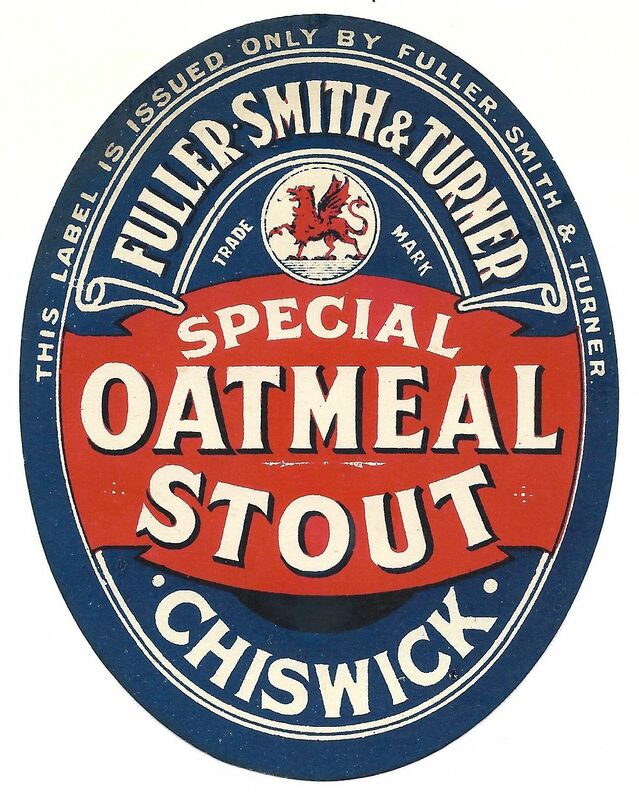 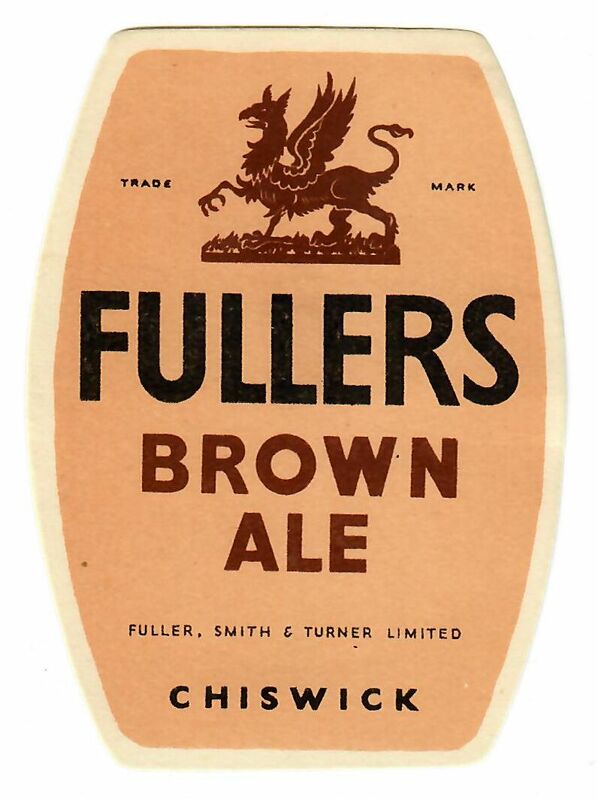 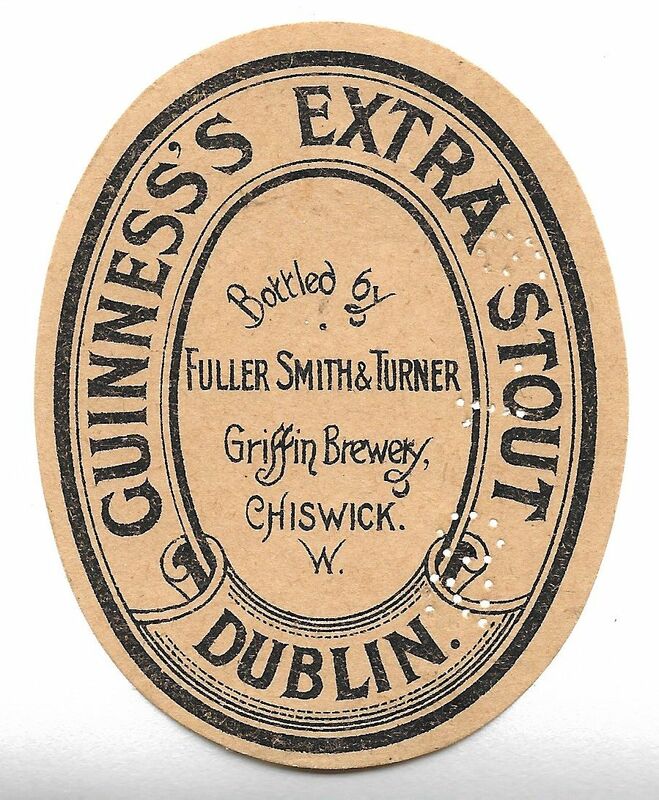 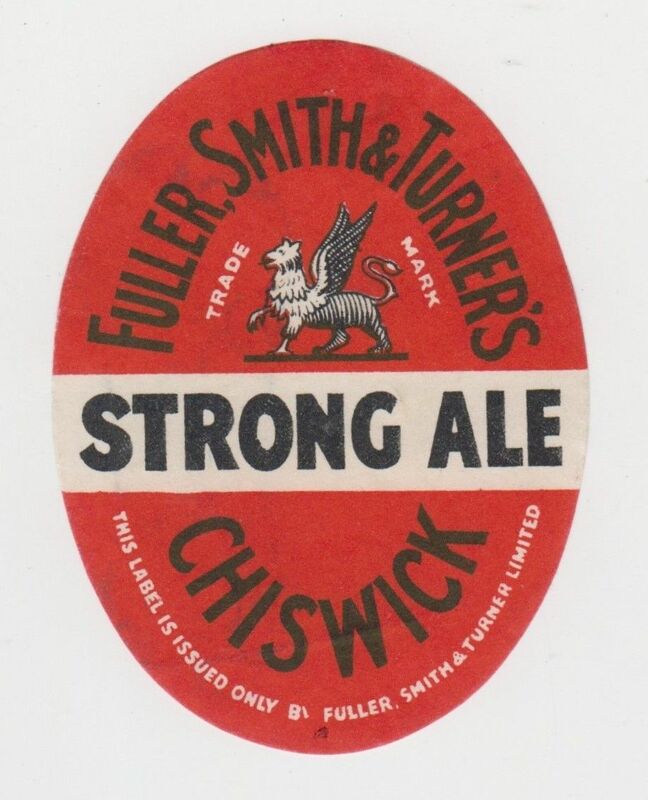 The company was registered in August 1929, which conveniently helps us to put a date on some of their labels. 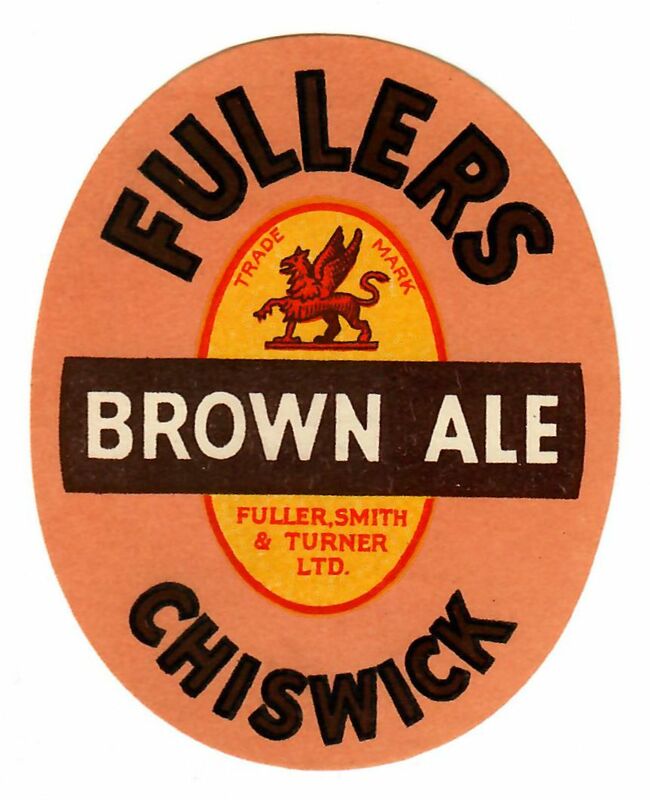 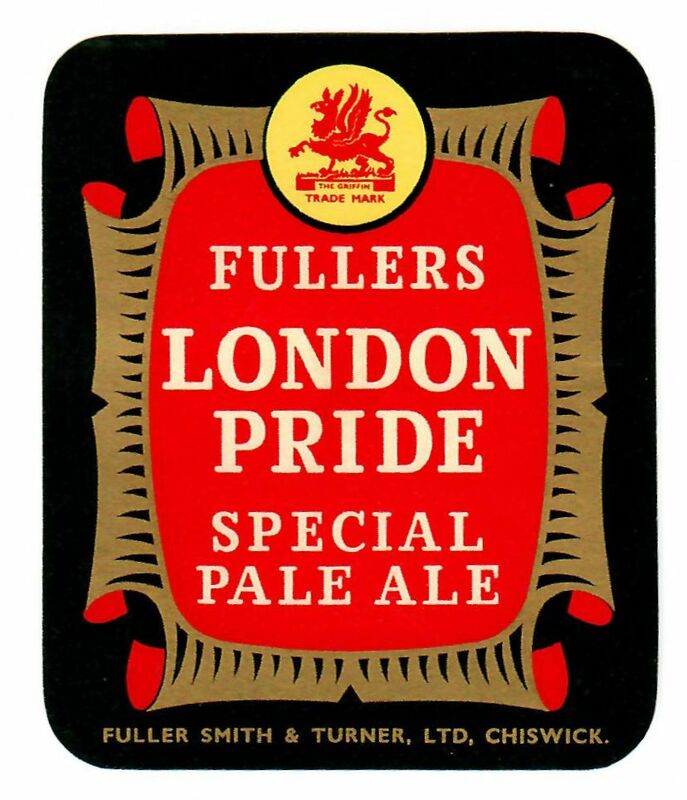 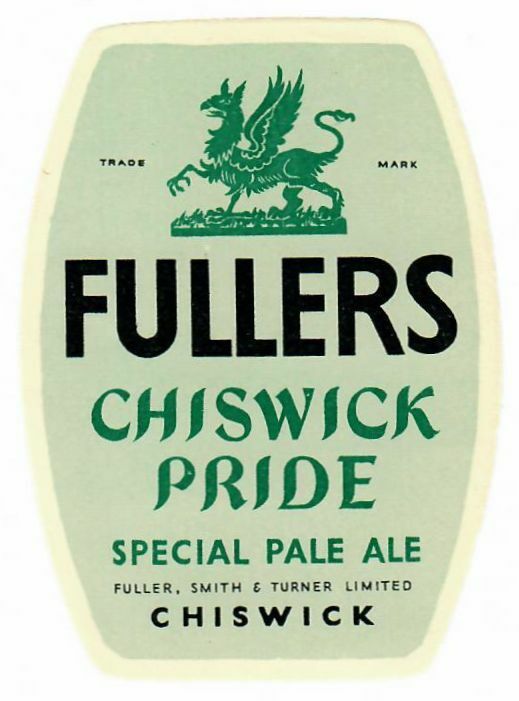 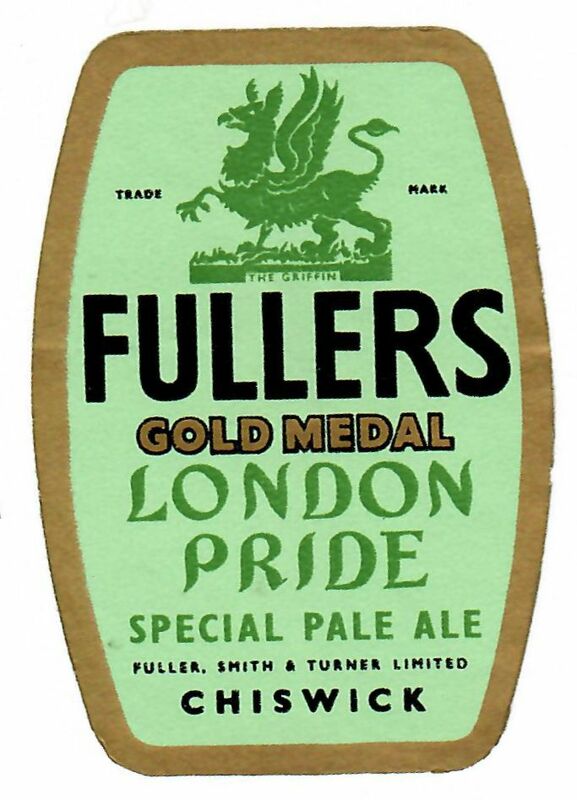 The well known brand, London Pride was called Chiswick Pride until 1952. 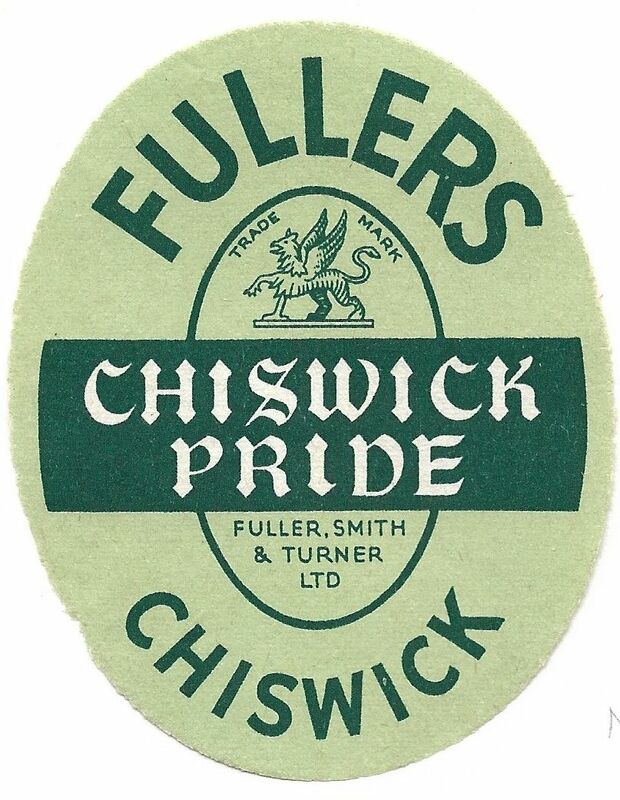 Presumably as the company looked to expand it’s market, it was felt that London carried more weight than Chiswick. 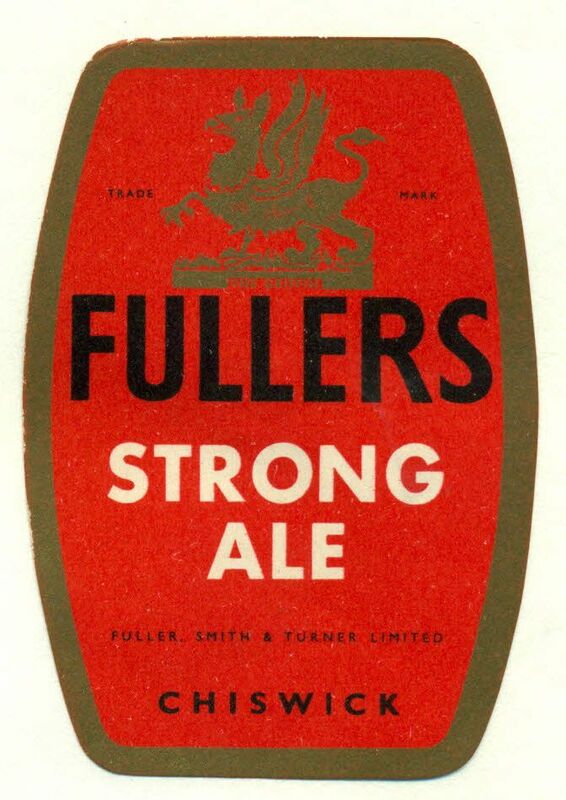 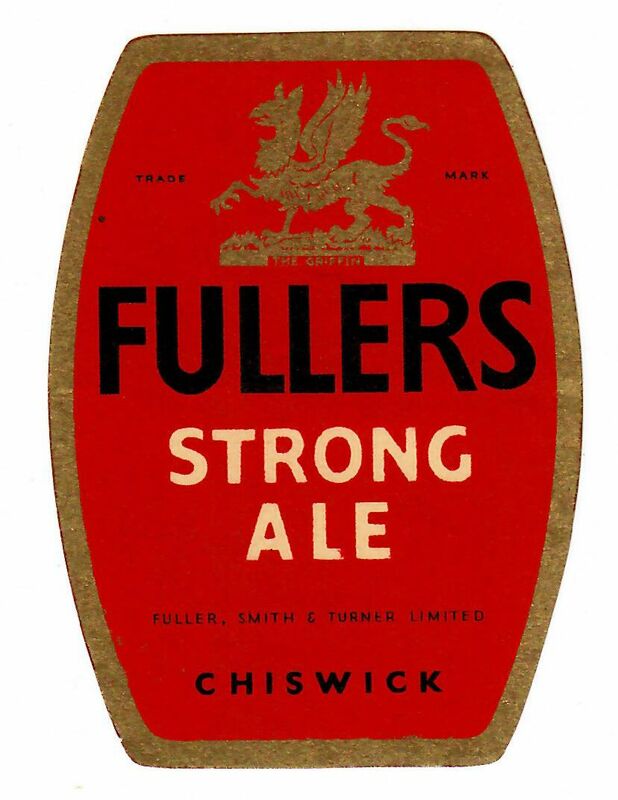 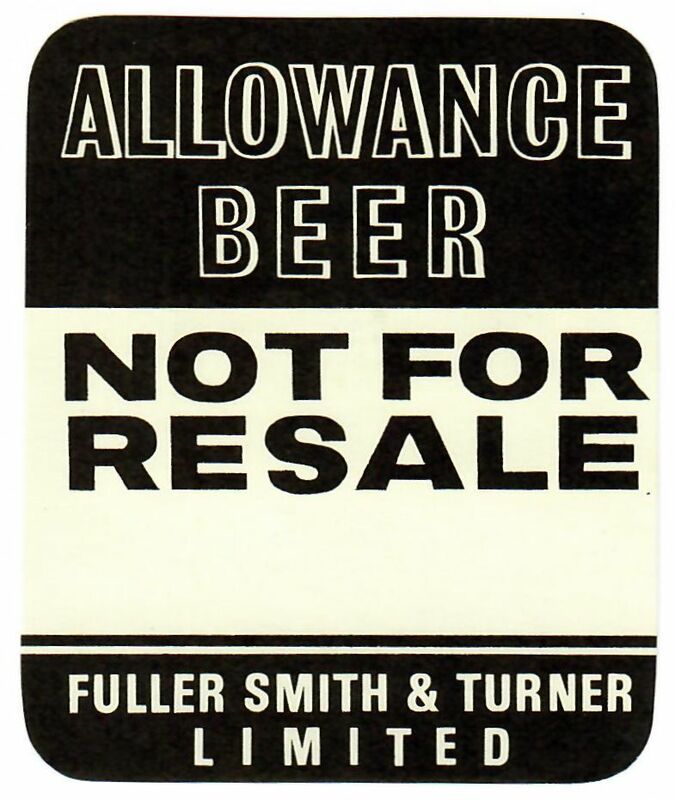 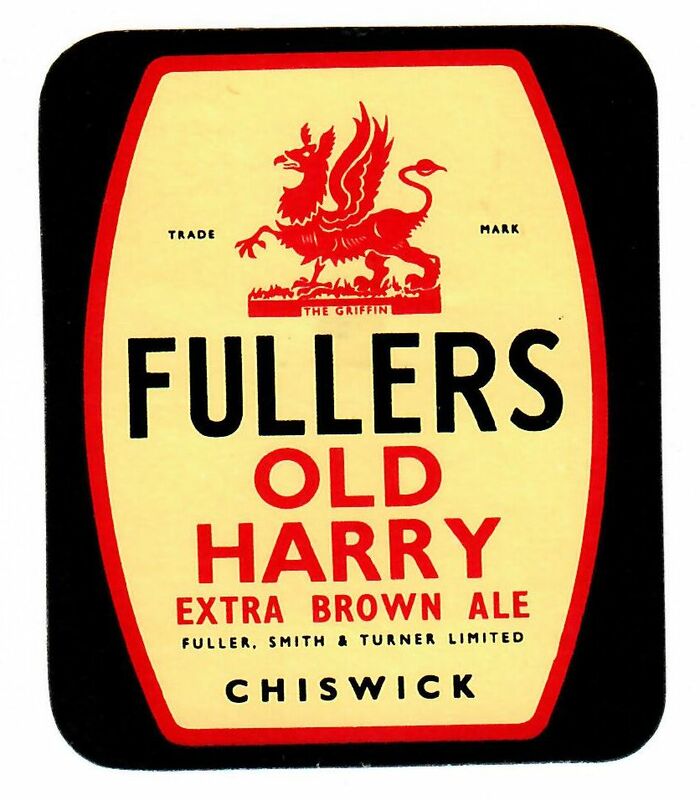 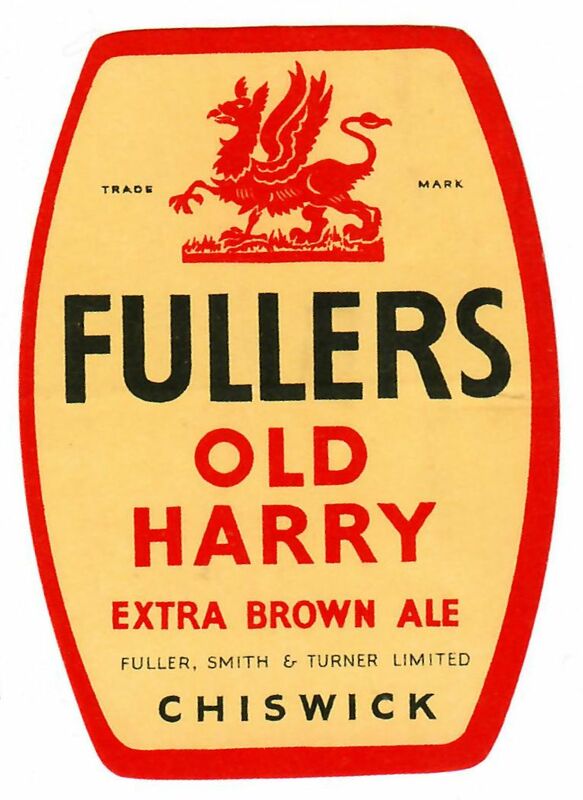 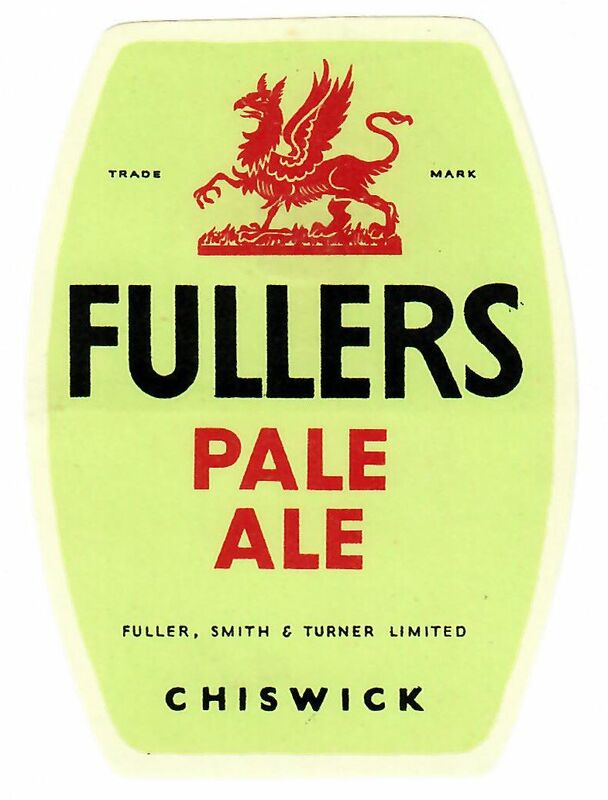 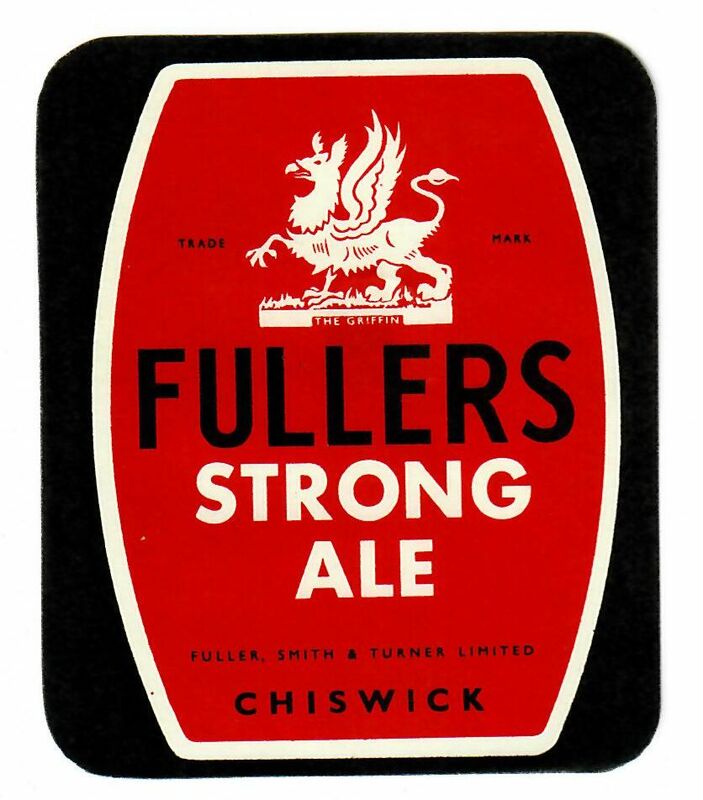 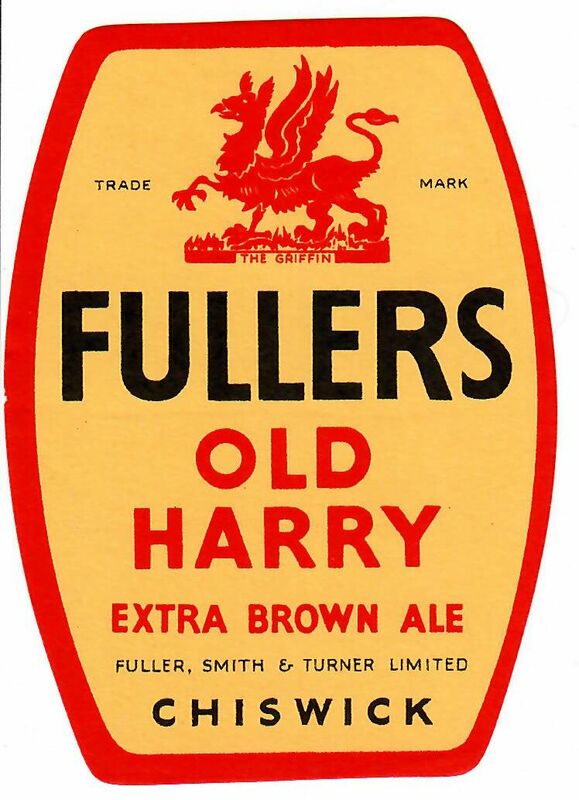 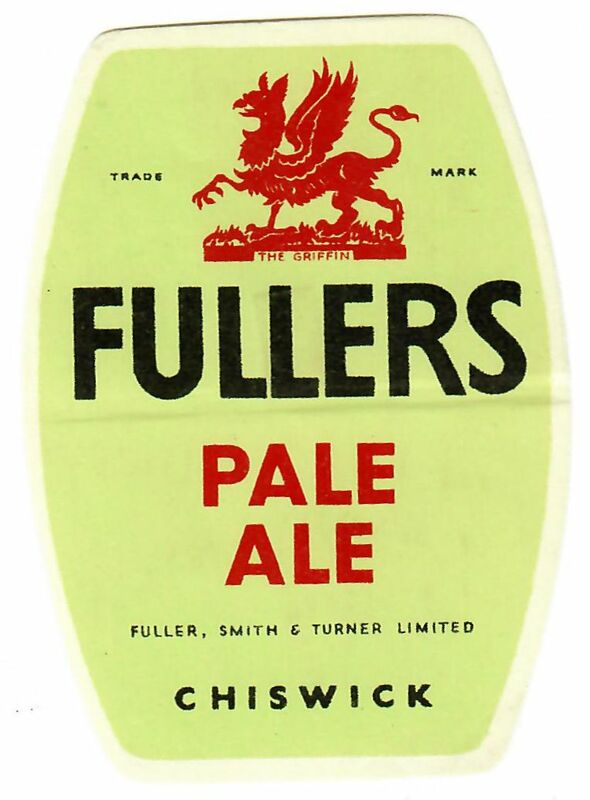 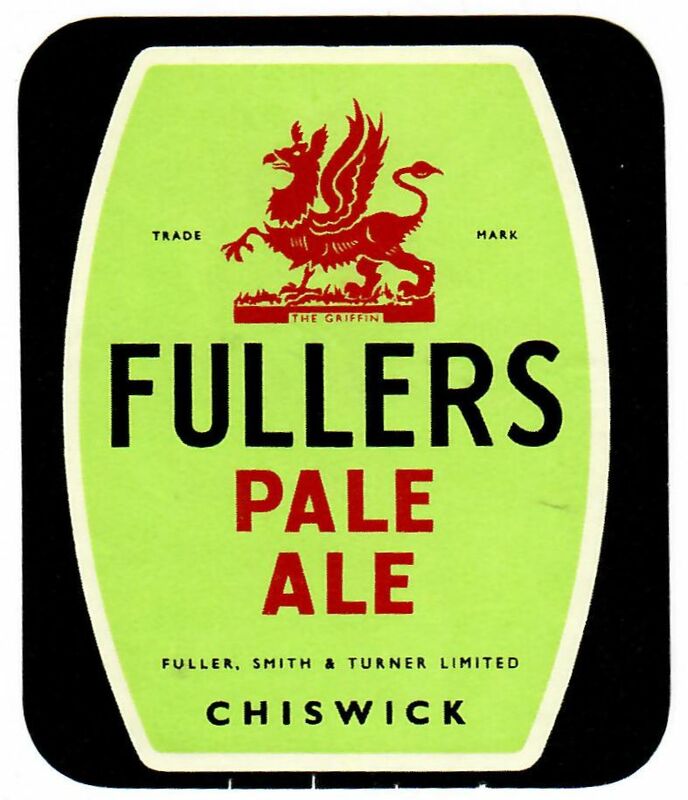 In 2005, Fullers acquired George Gale & Co Ltd of Horndean, Hampshire. 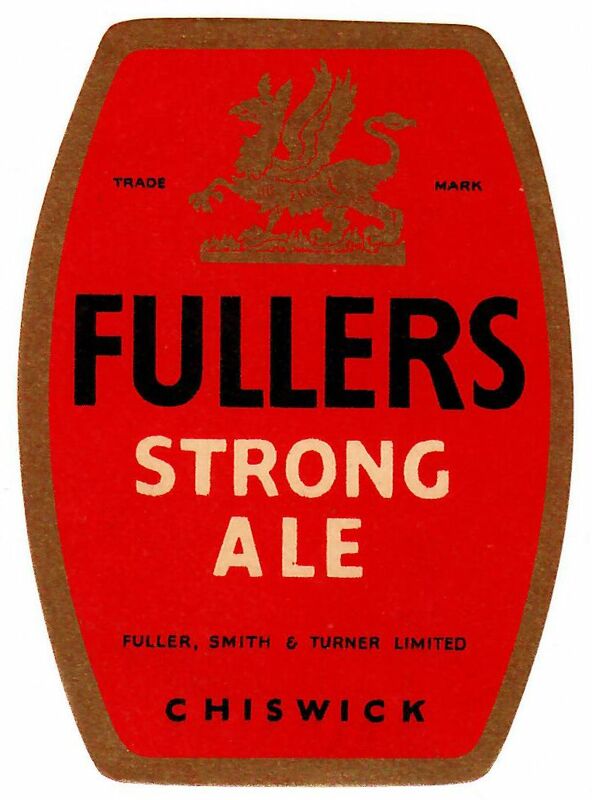 The company continues to brew independently.